continue reading "Grecian Formula Pies"
One of the pie-lights of being a Pierateer is sailing the Pierate Ship up and down the country to meet pie producers who really do care about their pies. 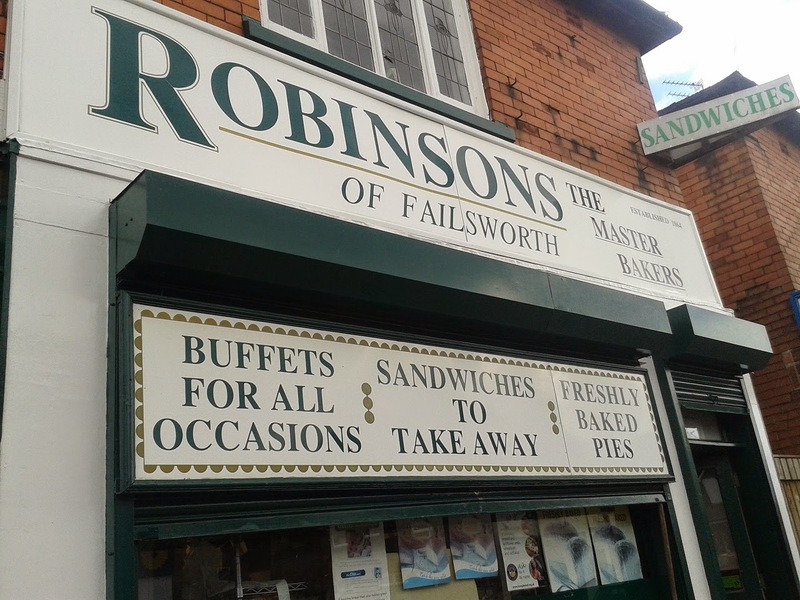 A fine example of this is Robinson’s Bakery in Failsworth, north Manchester. They run the oldest craft bakery in Manchester, which has this year celebrated a milestone 150 years producing pies and baked goods. It’s an excePIEtional achievement for anyone, producing pies through highs and lows, recessions and booms - even 2 world wars! So what’s the key to the sustained success of Robinson’s Bakery? Well it’s clear from the moment you arrive that you get a friendly, local feel to the whole place. Providing baked goods to the local community and an increasing number of businesses and customers across the city via their city centre market stall, people are clearly wanting a good quality of product and service, from a bakery that buys and sells local. In the past they have sold baked products off a horse and cart (see photo below) and now they sell from two shops and a weekend market stall – with all the products baked in the Failsworth shop. 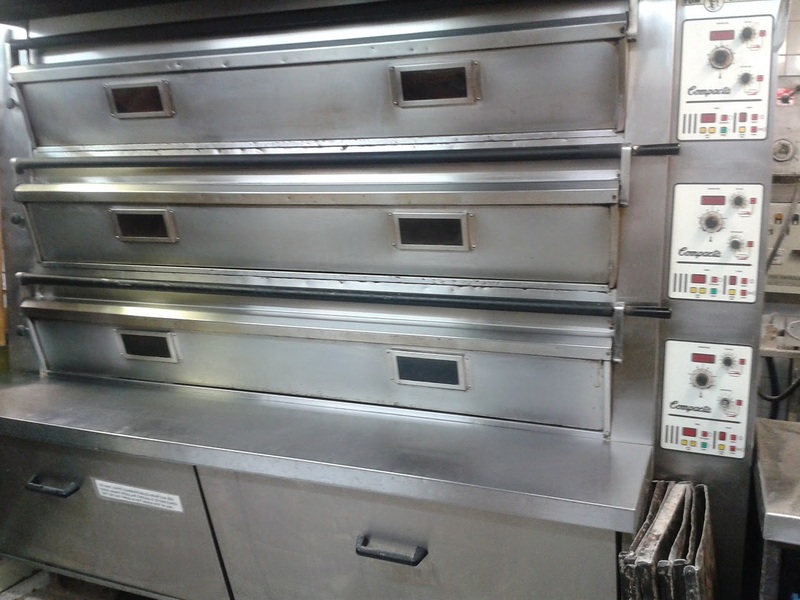 A tour of the bakery includes a giant pie press, casing hundreds of pies a day, and ovens which can cook hundreds of pies at once if necessary! I asked Grace, who looks after the Robinsons Bakery twitter and facebook account among other duties, what they have been doing to celebrate their 150th anniversary. Were there any more comPIEtitions in the PIEpeline? Again her answer highlighted the strong links they have with the local community in which they sell their baked goods, with many food promotions and giveaways – including their celebratory 150th anniversary bags – aimed at their regular customers. But there were promotions continuing to happen at various points online across their 150th year. 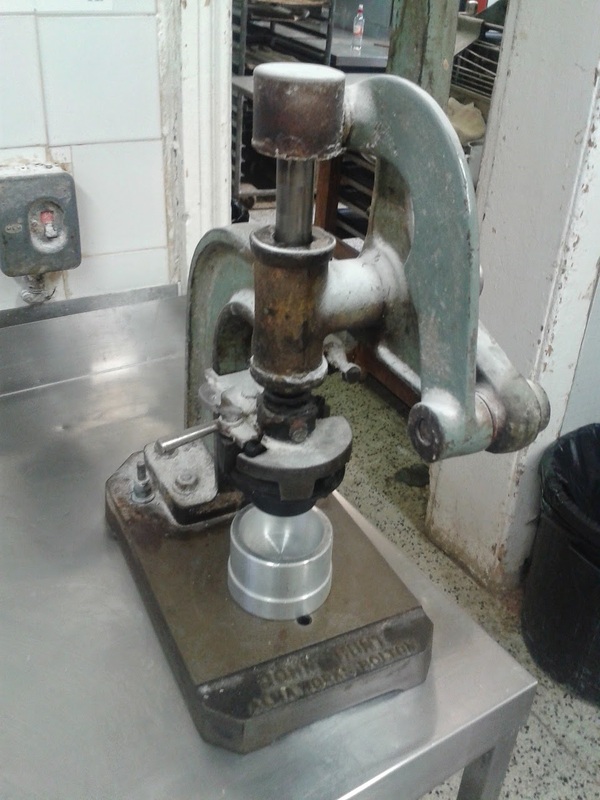 Regarding the pies, it’s hard to argue with a pie maker who’s been in the trade for well over 50 years, let alone 150 years. That’s plenty of time to PIEfect their reciPIES! So how often do they change their pies? Not often, it turns out! The manager David explained the current recipes they use are from his mother. They do have some more seasonal pies on sale, but in general most of their pies are sold all year round. 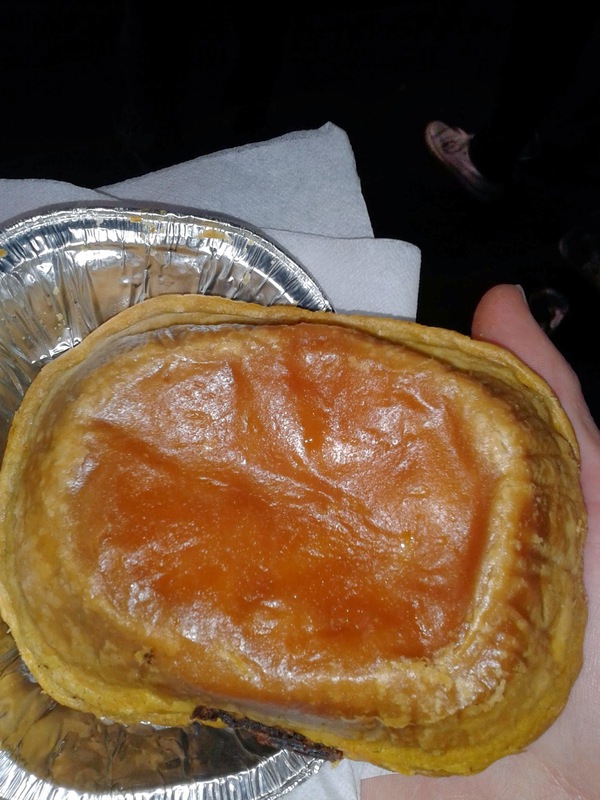 Their best-selling pies are the potato and meat pies, with their various meat and gravy pie sales totalling about 2,000 a week and around 500 pork pies sold a week on top of that. 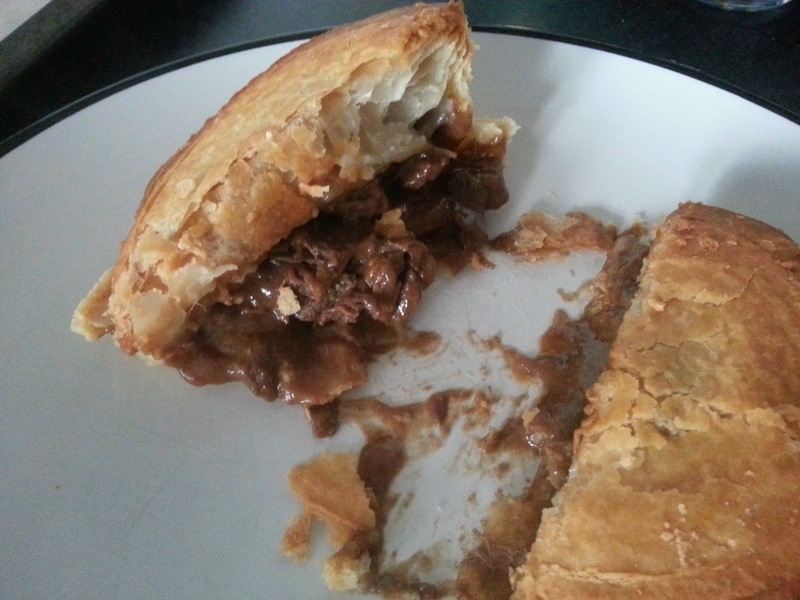 We bought and rated three Robinsons meat pies - the Steak and Guinness, Steak and Kidney and Apple Topped Pork Pie. Two of them received Pierate Recommended status and you can read about that in their full pie review. Interestingly their mince pies sales continue all year round, with a minimum 60 sold a week all year round, peaking at around 2,000 mince pies sold a week around Christmas! Of course we’ve already been to Robinson’s Bakery before, picking up these delightful mince pies which were one of the highest scoring pies in our '12 Pies of Christmas' music video! 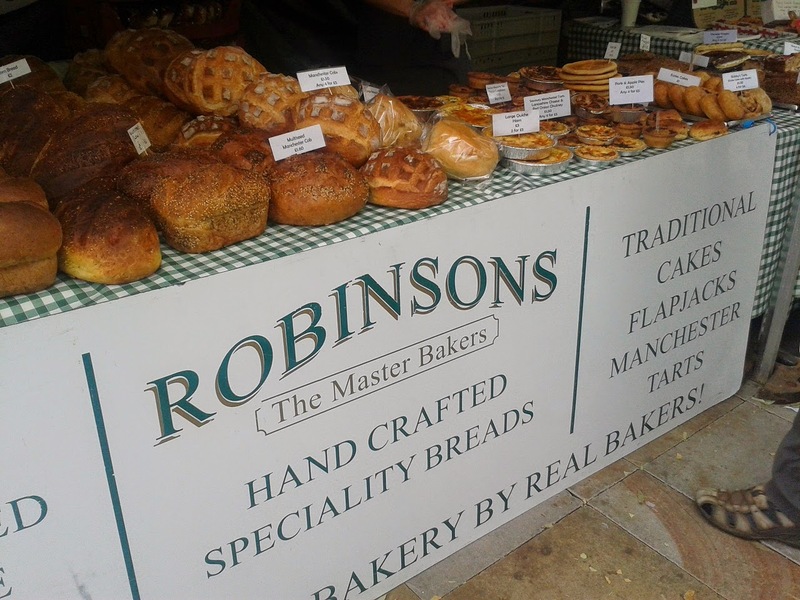 Robinson’s Bakery can be found at 69/71 Ashton Rd East, Failsworth, Manchester, M35 9PW, with a second store at 164 Nuthurst Rd, New Moston, Manchester, M40 3WG plus a weekend stall at Piccadilly Market in the city centre. They sell a range of pies, bread and other baked goods. 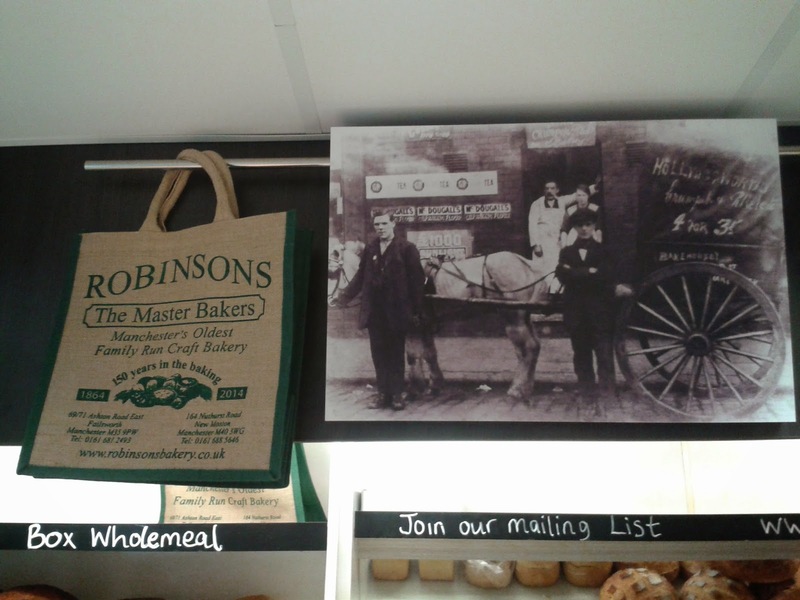 continue reading "150 Years of Pie Making: Celebrating with Robinsons Bakery"
Hopping mad for a rabbit and cider pie from Bakerie Pie and Ale? It comes as no surprise that the savoury pie range on offer at most pubs and restaurants focuses on steak, chicken and pork pies. They are of course the staple of the British pie scene and make up the majority of our rated pies. But at Pierate we are always on the lookout for something a bit different. It doesn’t always have to be an exotic meat such as zebra or crocodile – we’d settle for rating the more unusual domestic meat flavours like rabbit or venison. But to our delight, Pie and Ale from Bakerie, situated in the centre of Manchester, combines them all. Be it traditional, unusual or exotic (on a rotated specials board) – Pie and Ale cover them all! They therefore clearly talk a good pie game, but the big question is how do they rate? How did the rabbit and cider pie rate? 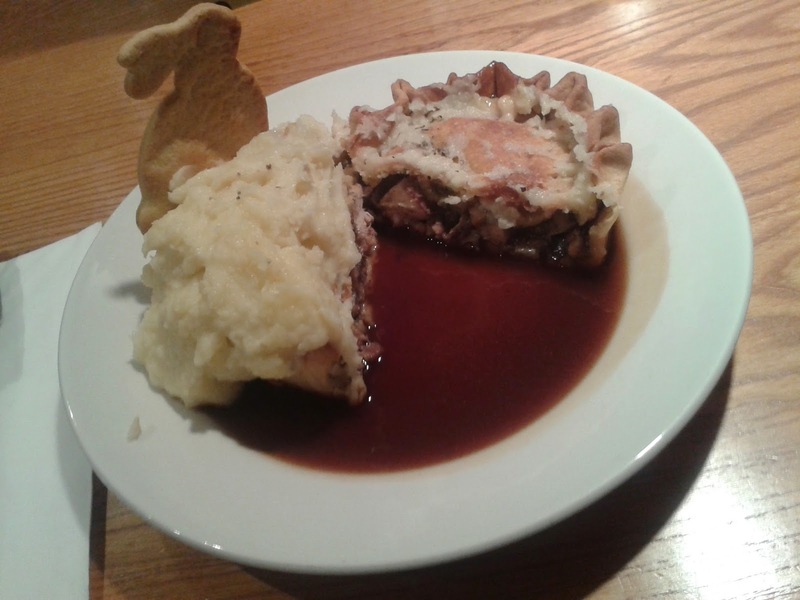 It’s worth noting that the presentation of this pie is very good, with a delightful rabbit figurine on top of the pie and mash to highlight the pie you’re eating (in case you can’t remember!) 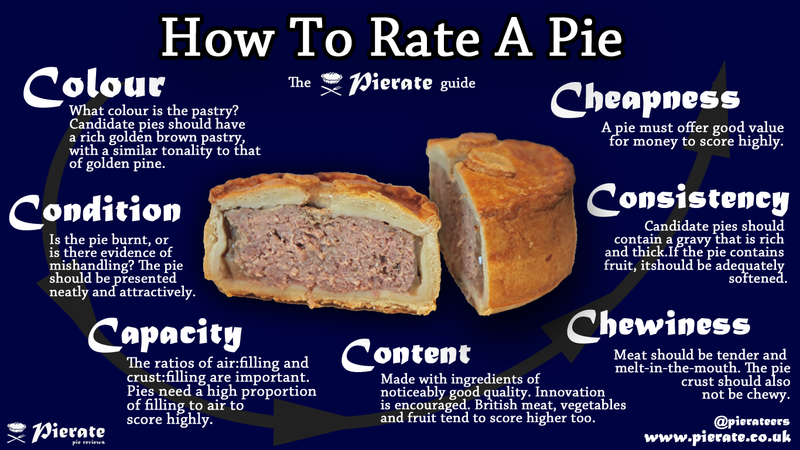 A delightful touch, although as we are pie raters rather than pie and mash raters (it’s pierate – not pieandmashrate!) we do feel the addition of mash potato on top – rather than at the side – of a pie does detract from the pie a bit. Similar to pouring additional gravy on top of the pie (a no-no in our opinion – as the pie should firstly not need additional gravy and secondly we are very capable of adding our own! ), the mash on top of the pie does mean the lid of the pie is not as crisp as it might well have been and you don’t get full sight of the beauty that is the pie! Fortunately, having scraped the mash off the top of the pie to analyse the lid of the pie too, I can confirm it is fully encased and the lid was reasonably golden. Not as golden as the crisp outer crimped pie edge, which was crisp but a tad dry as a result, however it was important to be fully encased in pastry. The base of the pie was a little soft, still holding its structure when a slice of the pie was picked up but rather too soft for my liking. Again this probably wasn’t helped by the ample gravy provided with the pie. In all, I felt there was a bit too much pastry with this pie, so the pie:filling ratio could be improved slightly. The pie contents itself was on the whole very nice and flavoursome. It was not clearly noticeable to me that it was a cider sauce, however the filling was moist and enjoyable. Needed when the pastry was a bit crisp in places and complimenting the lovely, tender meat and soft vegetable and fruit filling. The black pudding was rather focused in one corner of the pie and therefore the consistency of this pie was not ideal, with some mouthfuls of meat and others just of black pudding, but in general the rest of the flavours worked. The apple and parsnips added some mix to the flavour without being over burdening. The bacon was clearly evident, without being a rival to the main meaty chunks of rabbit. I would have preferred a content of slightly more rabbit, but it was still a decent proportion of the pie content. The capacity was strong, though a little bit more rabbit would certainly improve it. At £9.95 for rabbit pie, mash and gravy, served in a restaurant in the heart of Manchester, I feel this is a very reasonable price for a decent sized pie. It was certainly filling and the flavours were good. I would certainly happily eat pie at Pie and Ale again, and look forward to trying some more unusual pies again in the future. This pie achieves Pierate Recommended status for scoring over 5/7. Interestingly the Pie and Ale menu also includes a number of “Summer Gourmet Dishes” which are marketed as a “bottom crust dish for a lighter dining option”. While obviously we are biased to pies and would prefer just pies on the menu, we understand the business logic of a ‘lighter’ food option during the summer months. However we respect the fact that Pie and Ale haven’t gone for the sadly all too common approach of labelling a non-pie a pie on their menu. “Bottom crust dish” is a much more apt name for these pastry light options. 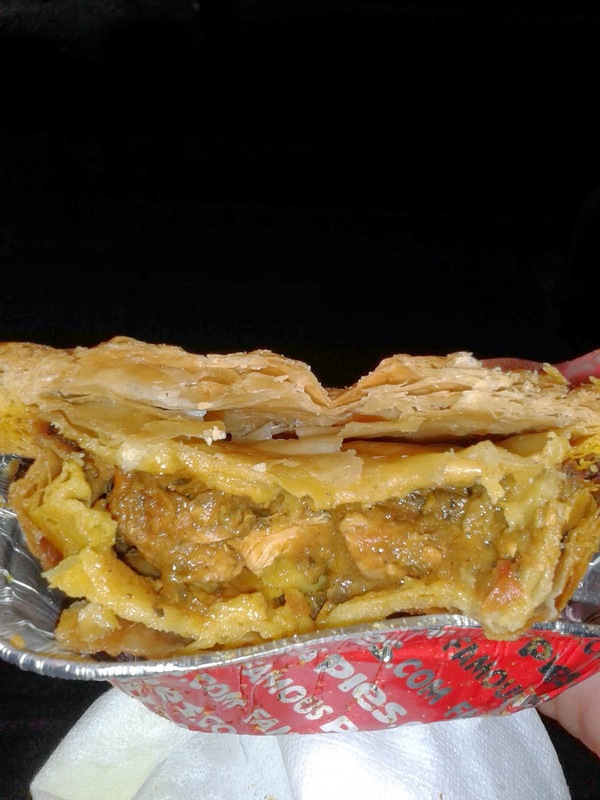 Sadly many pubs fall foul of calling similar pastry-light dishes – in effect casseroles with a pastry lid – a pie. They are not a pie and there is currently an e-petition calling for criminal charges against such false labelling. Respect to Pie and Ale for not falling for this poor food labelling. 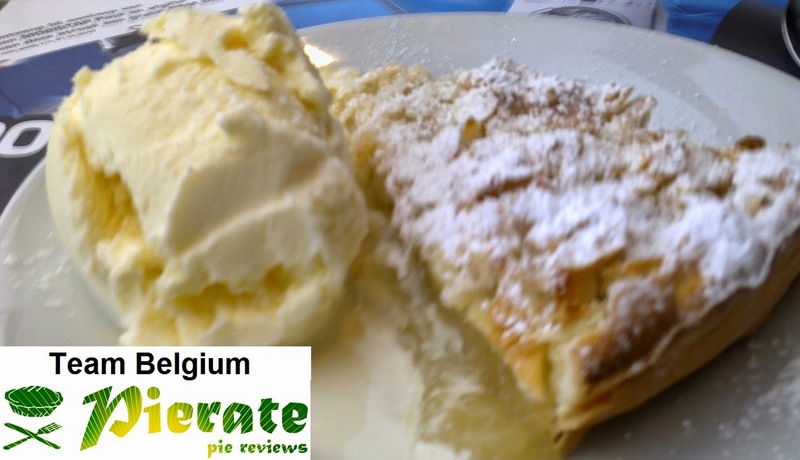 Thanks also to Pie and Ale for their free "Pi-fi" which allowed this review to be written and posted while still in the restaurant! 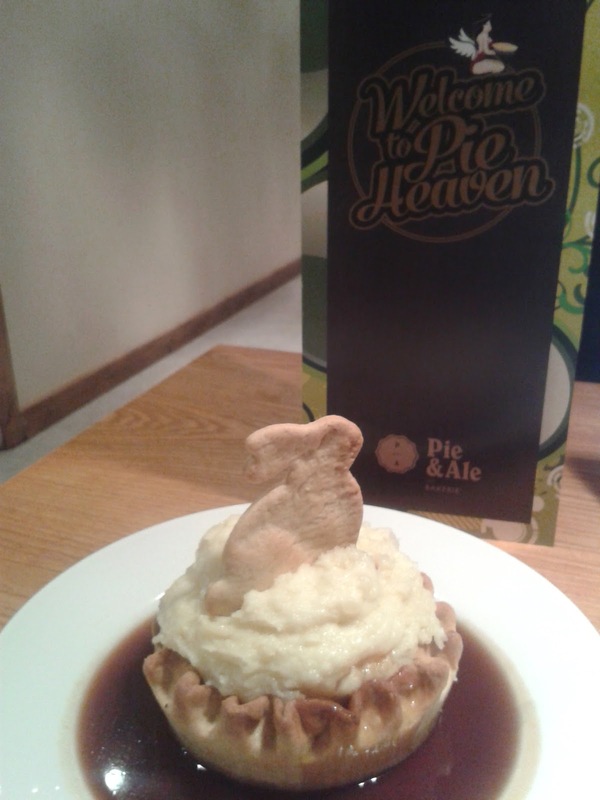 continue reading "Hopping mad for a rabbit and cider pie from Bakerie Pie and Ale?" With Australia against Netherlands in the Group Stage of the World Cup 2014, it's not just the players on the pitch getting a rating. Oh no! We couldn't let these two heavyweights battle it out without some reference to their pie line ups! 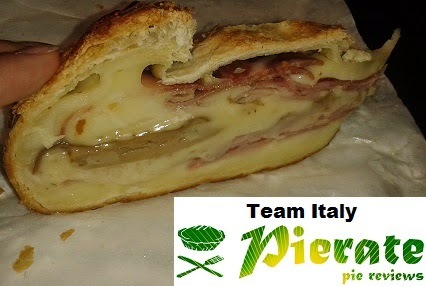 So off the back of our England v Italy World Cup Pie-Off, here's our second match up! The World Cup Pie-Off idea is simple – a straight head-to-head between the top rated pie from Australia and The Netherlands. Aussie Aussie Aussie - Pie Pie Pie! You won't be surprised to know that Australia is pretty fanatical about their pies! After all, their city centres are filled with pie shops in the same way our British cities are filled with coffee shops! 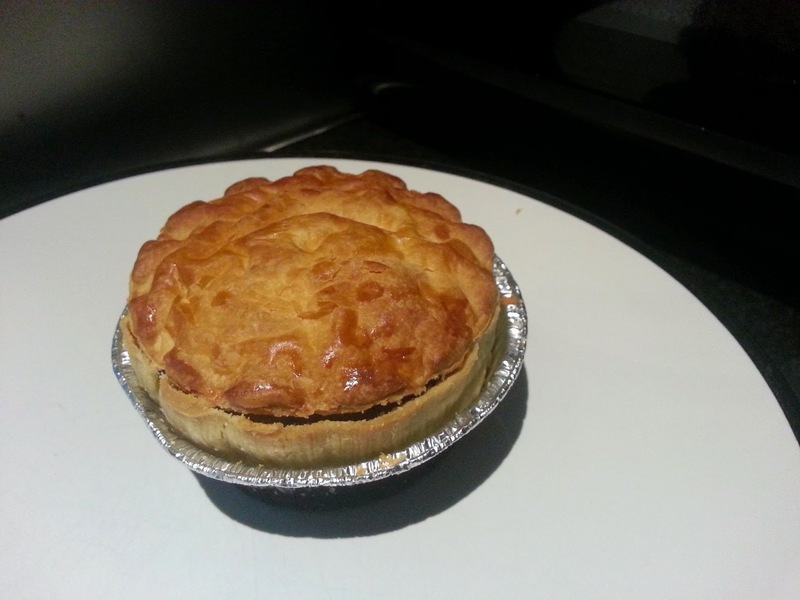 Check out our special Australian Pie investigation and our review of the top pie we rated there. Also, we've actually found the Australian Pierate!!! It's called piefinder and sadly it appears they only lasted about 9 months before giving up (May 2012 to February 2013). Of course, we've rated far more pies! 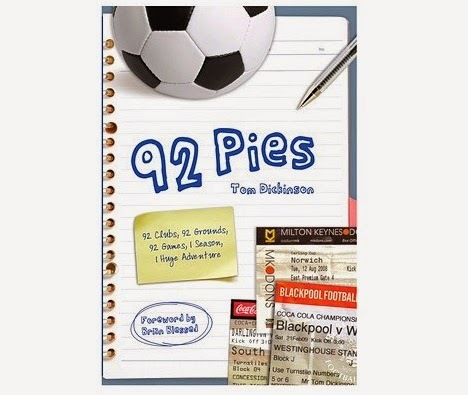 We’ve rated over 370 pies so far and, while the vast majority of them have been from England, there are pies rated from a whole host of countries - something we celebrate on our World Cup Pie Blog International Rankings Table! The Netherlands, on the other hand, was surprisingly lacking in pies when I visited a number of cities there a few years ago. Despite seeing quite a bit of pastry, there was a distinct lack of pie. 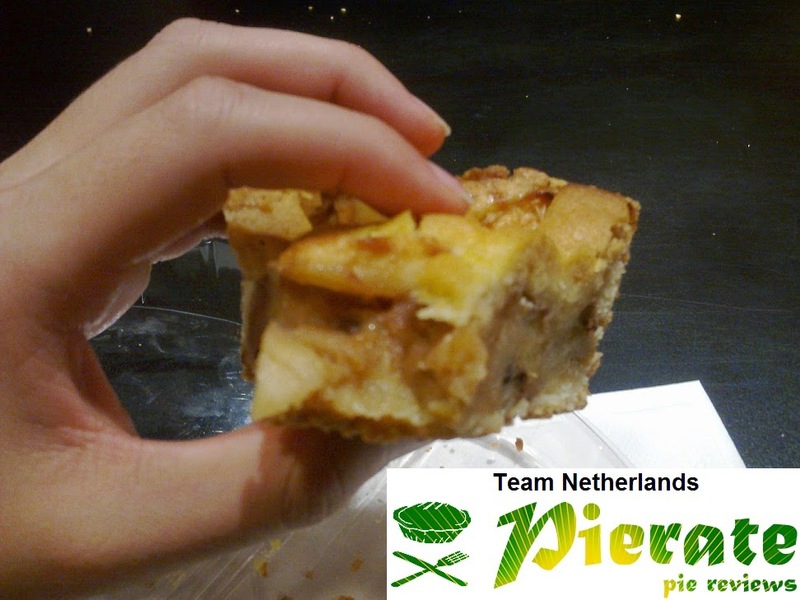 I did however find a pie eventually, spotting an apple pie as I passed a McDonald's store in the centre of Amsterdam. It wasn't really what I was hoping to find as a summary of the pie production by the Dutch but at least this was not the shocking "pie" that is sold in England's McDonald's stores - oh no! This was an actual pie! Check it out in our full review. So there we have it - Australia take the win on our Seven Cs. Whether that is the case on the football field, we will see on 18th June! 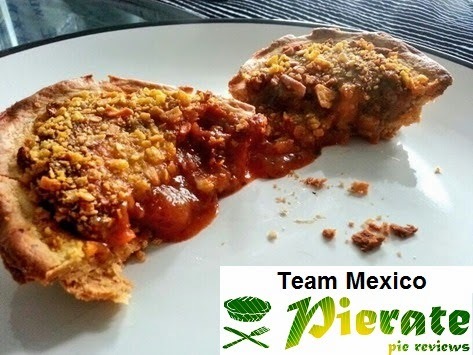 continue reading "World Cup Pie-Off - Australia v Netherlands"
continue reading "World Cup Pie-Off - England v Italy"
continue reading "Football World Cup Pie Review Blog - Brazil 2014"
You may recall that recently we reviewed three Heinz Big Pies, and now I'm going to review a fourth pie from Heinz: the chicken and bacon. You'll note that this pie promises to be "Big on flavour" - sounds promising! Out of the oven, this pie is a nice colour but has cracked around the edges. The lid of the pie is lifting away from the sides, which will unfortunately lose this pie a few marks for condition. Cutting open the pie for the cross-sectional view, you can see that the lid has held its domed shape well. The filling is nice and creamy, and the gravy is very smooth. The chicken is not chewy, and the filling tastes nice. The pie is underfilled, but its not terrible. This isn't a bad pie by any means, but its not particularly exciting, and doesn't have that hand-crafted wholesomeness that I love in pies. 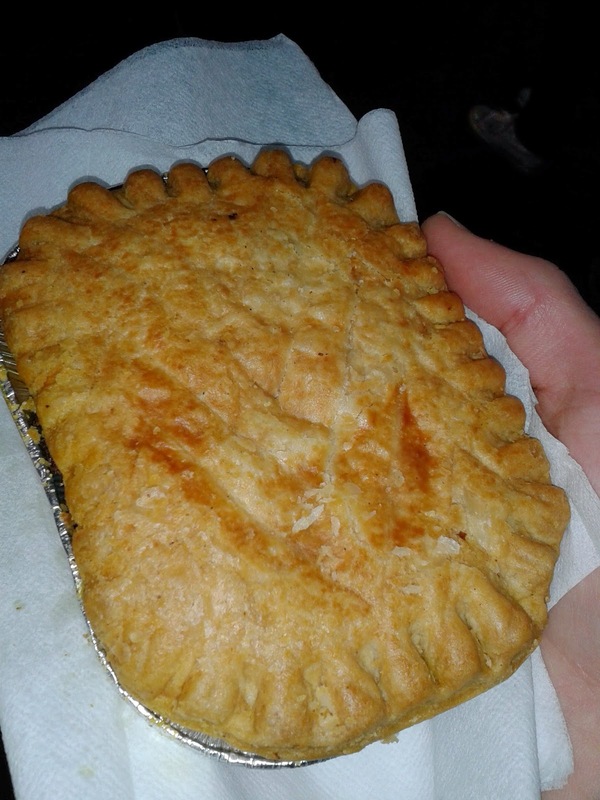 But lets be honest here, this pie was £1. That is a bargain for this sort of quality. However, for something called a "Big Pie", this pie is surprisingly small, and I finished it wanting more. 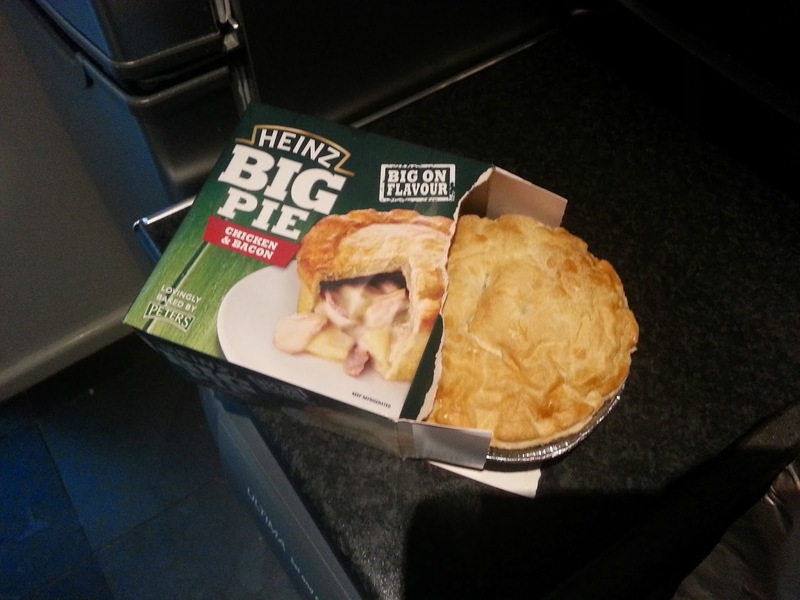 continue reading "Another Not-So-Big Big Pie from Heinz"
You may remember that at Pierate we love a #PiePledge - after all we made a whole host of them in the lead up to British Pie Week back in March this year! But we'd spotted another Pie Pledge - a promise made involving pie - from our good friends at Pieminister back in February. A Bronze Medal and a Golden Pie! Remember Sochi 2014? Well following the great news of Jenny Jones winning Team GB’s first medal of the Games, with a fantastic performance in the slopestyle event, it was great to see that the Bristol-based athlete had not only won a bronze Olympic medal but an offer of a nice warm pie or two awaiting her return to her home town! 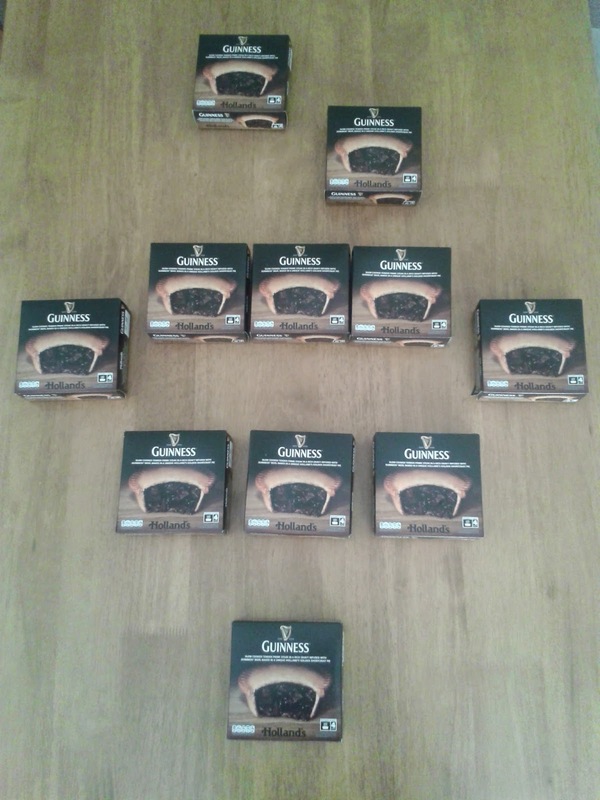 Yes, Bristol-based pie company Pieminister got caught up in the Olympic spirit and offered Jenny a free pie or two to toast her success! And we knew that if she jumped at the chance, she wouldn't be left filling disappointed! We’ve rated plenty of the pies from Pieminister already and you can read about those on our Pieminister pie review page! And so it was great to see that the moment finally arrived - better late than never! 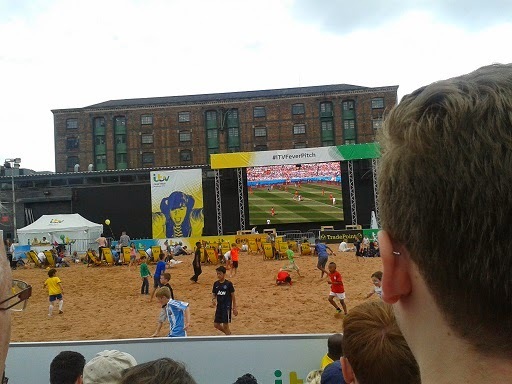 - on 8th June 2014! That's PIEseverance right there! All we want to know is... was it free?!?!?! 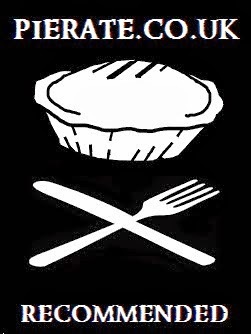 continue reading "Pieminister keep their Pie Pledge!" continue reading "With a Lidl bit of luck, this will be a great pie"
continue reading "Britain’s Got Pie Talent - Finding Britain's Best Pie"
An undoubted highlight of my pie for every meal challenge during British Pie Week was the trip to The Farmers Boy Inn in Longhope, Gloucestershire. For a Farmer's Boy like me (I grew up on a dairy farm) I was in pie paradise at the pub which is also where the Mad About Pies retail pie range originated. The proprietor, Phil Kiernan, was kind enough to give us an interview. Watch the video below from Day Six of my British Pie Week to see the interview. We are pleased that he shares our view in what makes a proper pie! 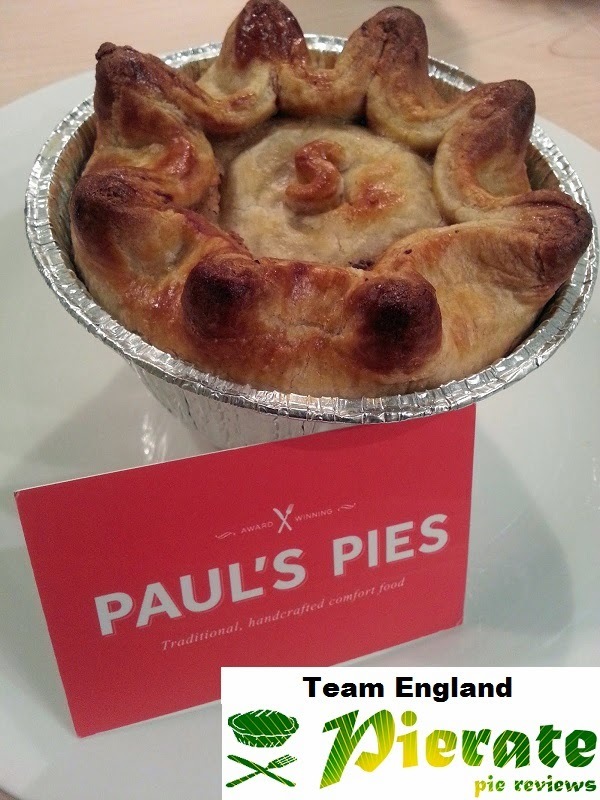 We have tried some of the Mad About Pies before from the Phil Vickery and Martin Blunos ranges. These pies were excellent so I had high hope for the pie from The Farmers Boy Inn. They are made to the same recipes but they are made fresh at the pub. The first thing that hit me was the huge array of pies that were available. So much so that The Farmers Boy Inn had a separate pie menu. I decided to play it safe and go for the 'Emerald Pie' which was Steak & Stout. What impressed me was that you could chose your pie in any of three sizes from 240g to 454g. You could also, if you are that way inclined, choose from two sizes of 'pie in a dish' top crust version, although if you are a follower of Pierate you would know we would never recommend that! I chose the 280g 'Bistro' option as a balance between calories and pie fulfillment. Watch the video from 7:55 to see the review. I will cut right to the chase and say that this was an excellent pie. I have in my mind an idea of what a quintessential British pie should look like, how the pastry should be and the consistency of the filling. The at pie at The Farmers Boy Inn came very close to fulfilling this stereotype for me. 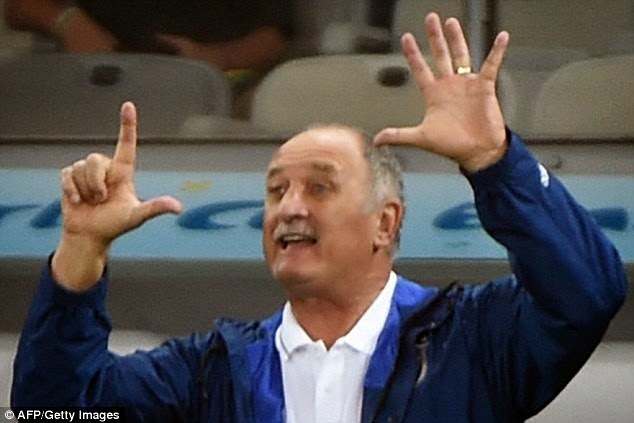 There really wasn't much that could have been improved about it, see below for a breakdown of the score. Condition - 7.0 out of 7 - This pie really looked the part. It had a good structure and the fact that it arrived wrapped in paper was a nice touch. It looked so good that I forgot to start filming until part way through. 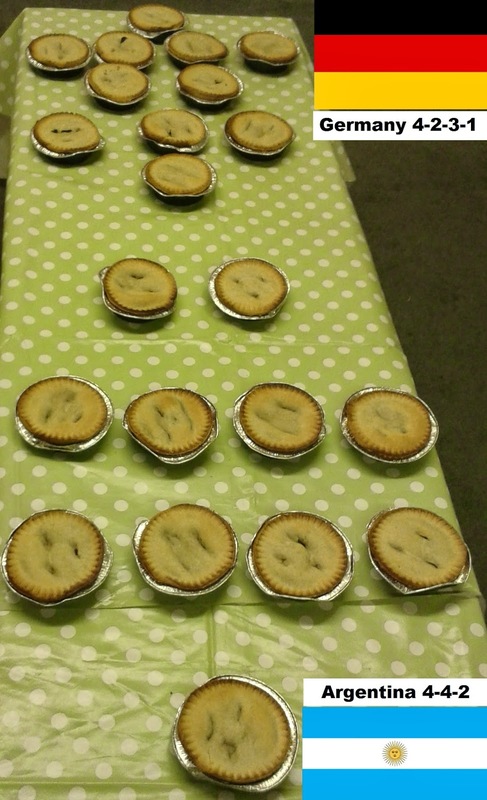 Slightly plain compared to some pies we have had but it was simple and effective. Colour - 6.0 out of 7 - A great graduation of colours on the lid, from sunset yellow in the middle to crispy, golden brown at the edge. The sides were a bit pale. Cheapness - 4.5 out of 7 - The 'Bistro' option cost £10.95 for a 280g pie, more expensive than some pub pies which can come in under £10 but this kind of price is pretty average for a nice countryside setting like this. Plus the pies are made on the premises, with local Aberdeen Angus or Hereford meat which will cost more. Overall, not bad for a gourmet pie, but it wasn't the biggest. Capacity - 6.1 out of 7 - This pie had a good height and the capacity was packed with content. The pastry to filling ratio was nigh on perfect. Chewiness - 6.2 out of 7 - The slow cooked meat was melt in the mouth, mastication was barely required. The pastry had a perfect contrast in texture from crunchy on the outside to gooey in the middle, exactly what I look for. Probably the only criticism about this pie is that some of the pastry was too thick at the base, a bit too much to chew through. 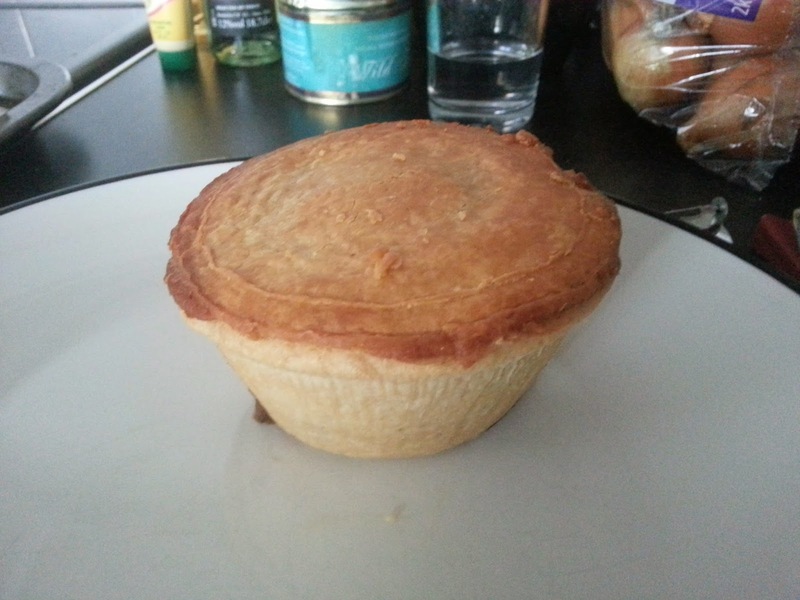 Content - 6.9 out of 7 - Wow, what a flavour, the meaty taste was supplemented by a sour kick from the stout, there was plenty of flavour going on inside this pie. There was no attempt to do anything unusual with the taste, they just did the steak and stout flavour very, very well. The meat came in nice big chunks which were satisfying to eat and let's not forget it was local British beef! Consistency - 6.8 out of 7 - The ample amount of thick gravy really delighted me. 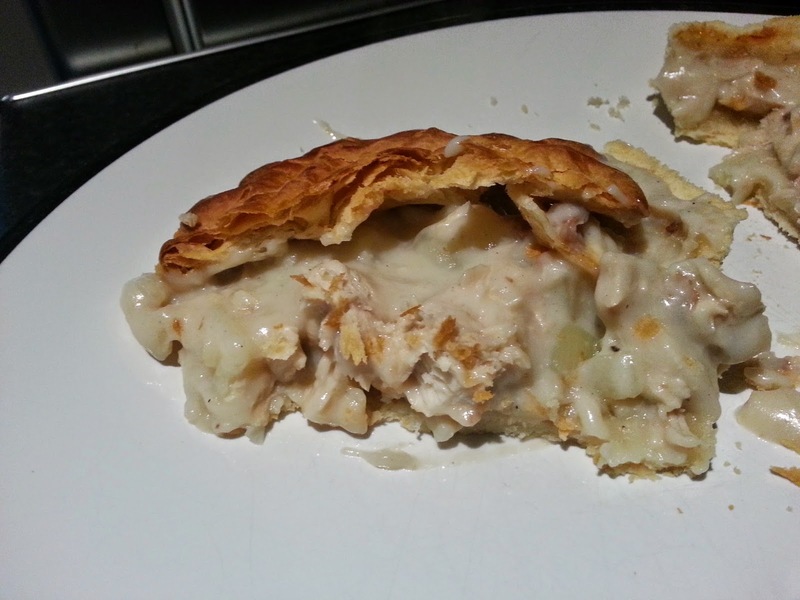 The pie was consistently good from beginning to end and worked really well as a package. Overall, I was really glad that I paid a visit to The Farmers Boy Inn and have found another 'Pierate Highly Recommended' pie. All too often pubs serve casseroles with a pastry lid and call it a pie. When I have spoken to proprietors they say that it is 'too hard' to cook a proper pie from scratch. The Farmers Boy Inn show it can be done whilst still having a pie packed with content with a rich and thick sauce. If you add the large variety of pies on offer I know I will be visiting again and I would recommend it to anyone else who is fanatical about pies. continue reading "Farmers Boy Inn Pie Paradise"